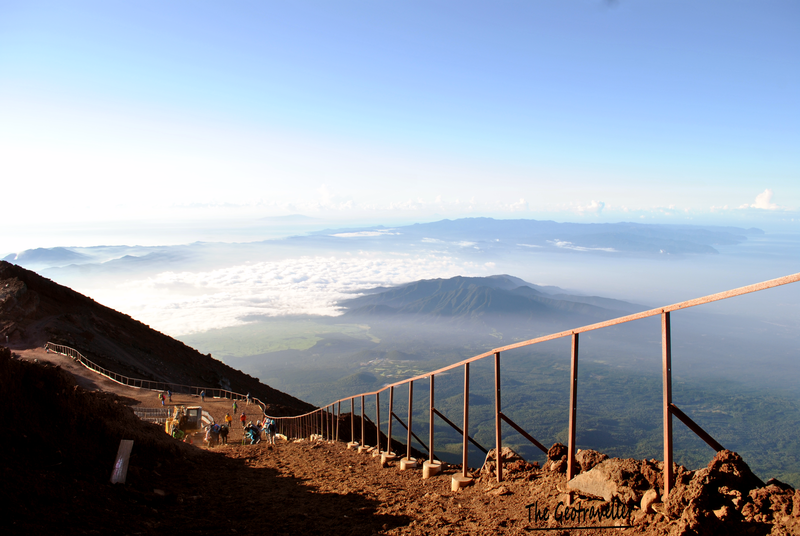 Climbing Mount Fuji is definitely experience not to be missed. 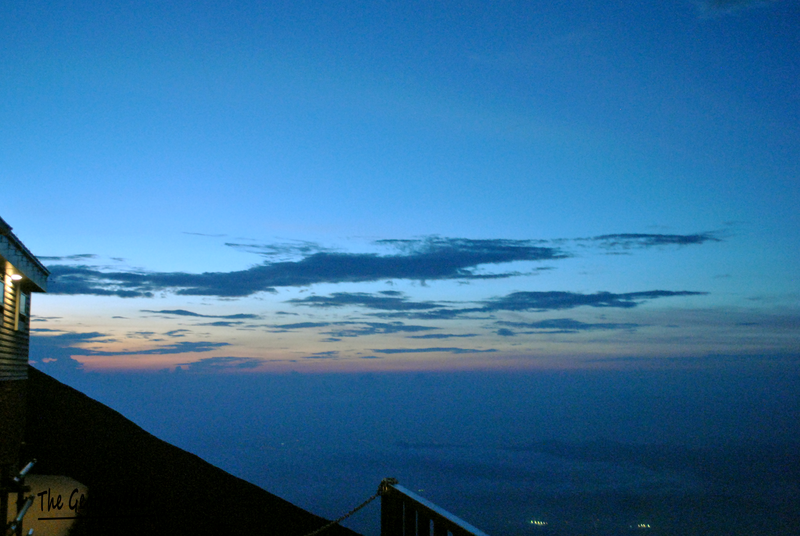 Recently in August 2015, I have successfully conquered Mount Fuji. 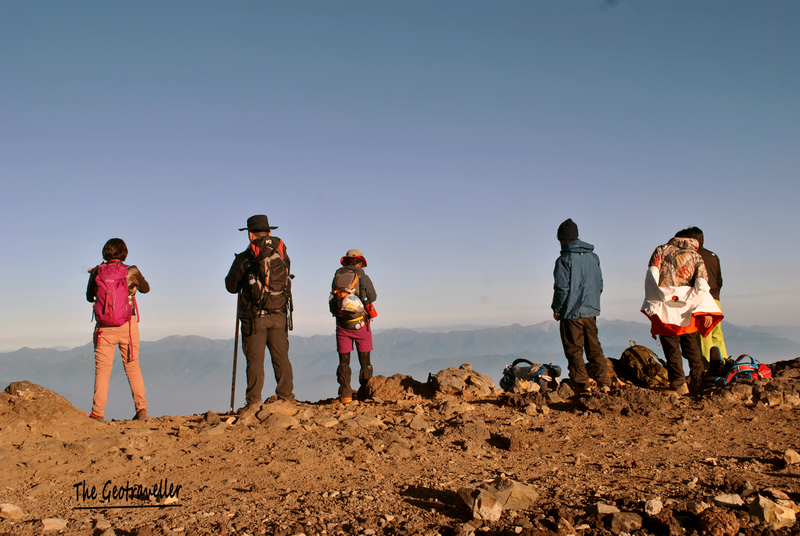 Even though it was not an easy hike (3775m), it was definitely an awesome experience. So many challenges that I had to face but in the end, looking at the scenery especially during sunrise really make the journey worth it. 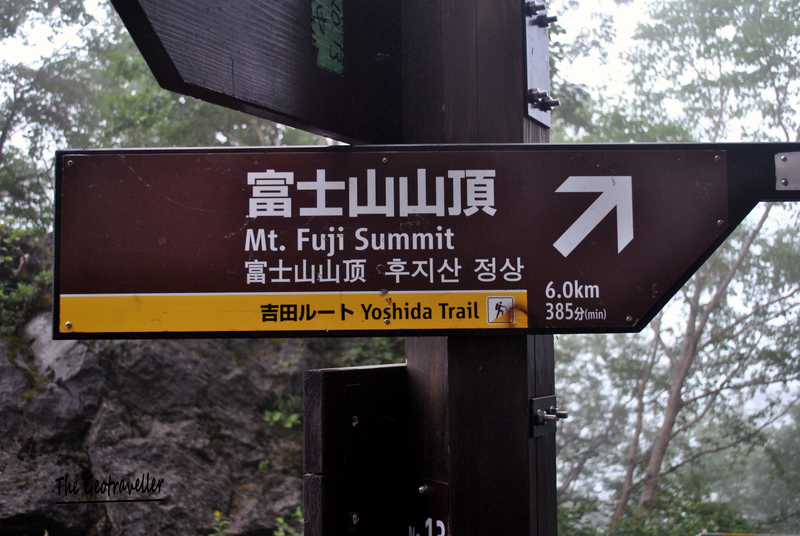 It started around 4pm from the 5th station of Yoshida Trail. There are 4 trails going up the mountain. And for this you have to be careful with which route you choose. I made a big mistake towards the end due to the trails and I will share later in the post. The trails map. Be careful with the trail you choose. Make sure you take the correct one because the main check point of the trails are very far from each other. 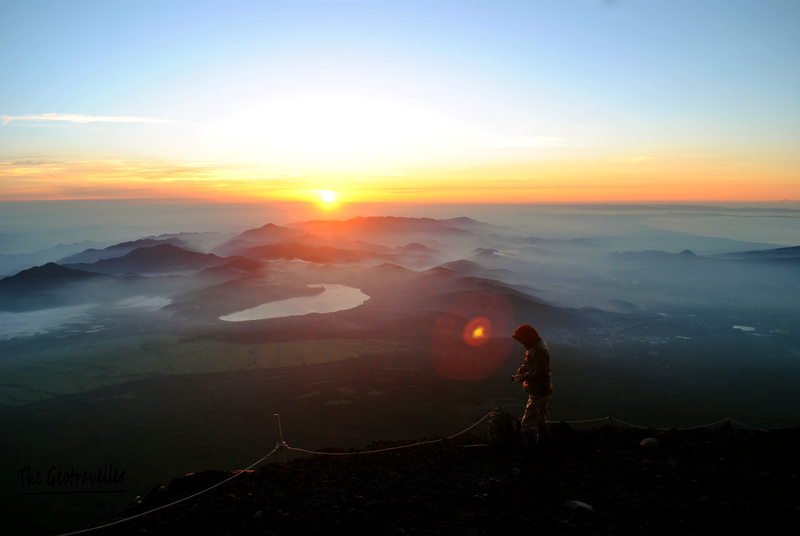 Here is the link for you to understand the mountain better : Fujisan Climb Guide. I did not do any research beforehand. So, lesson learn; do research before you go anywhere. 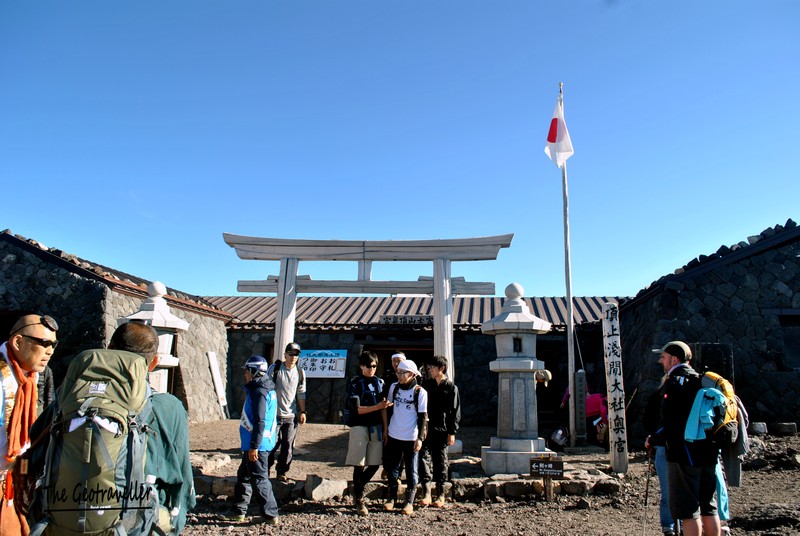 After a long journey from Tokyo, we finally arrived at the 5th Station of Yoshida Trail. We reached there at 2pm and got ourselves prepared and ready for the long hike. 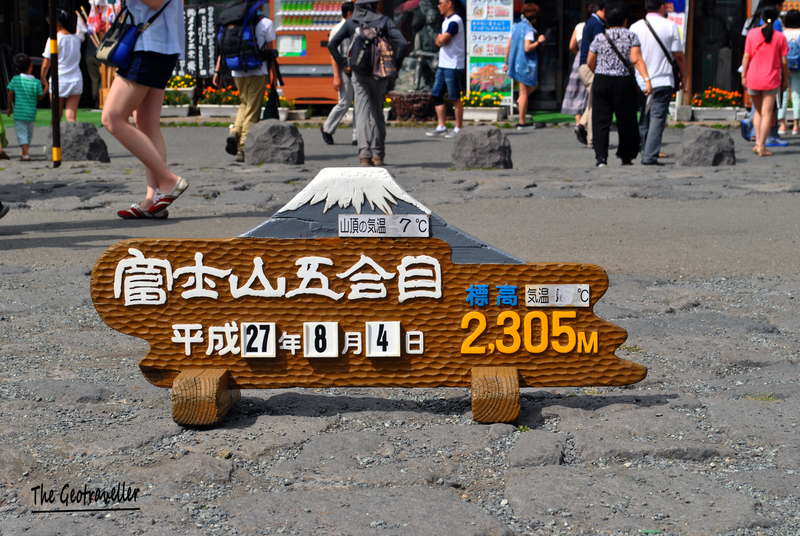 The sign board shows the date that we started our hike. 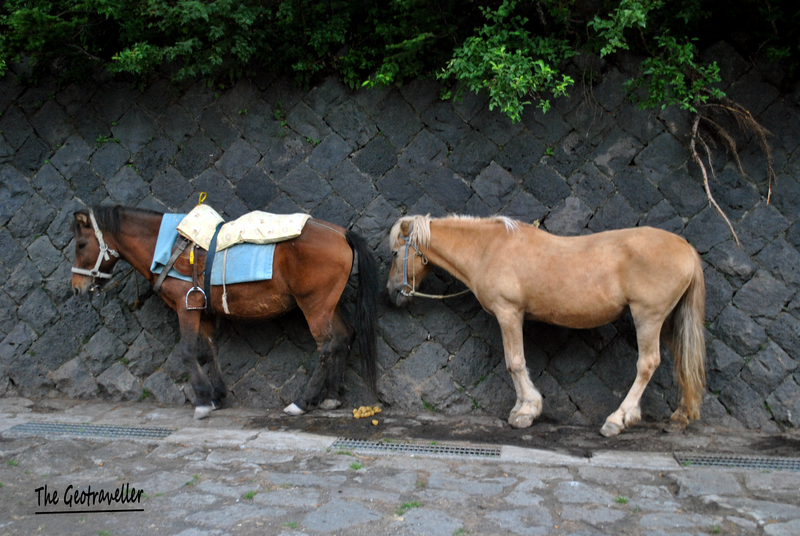 The horses taking rest. I wonder if they use them to carry stuff from the checkpoint to other checkpoints. We started from Yoshida Trail 5th Station at 4pm. It was foggy at the station but was not cold enough for us to wear extra layers. The trail was calm and quite flat all along the early part of the trail. 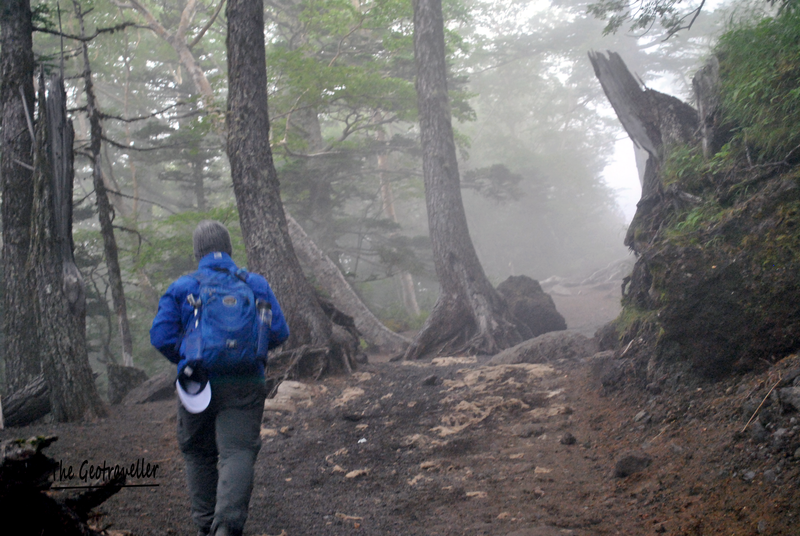 Soon, we began to ascend and the fog started to disperse. 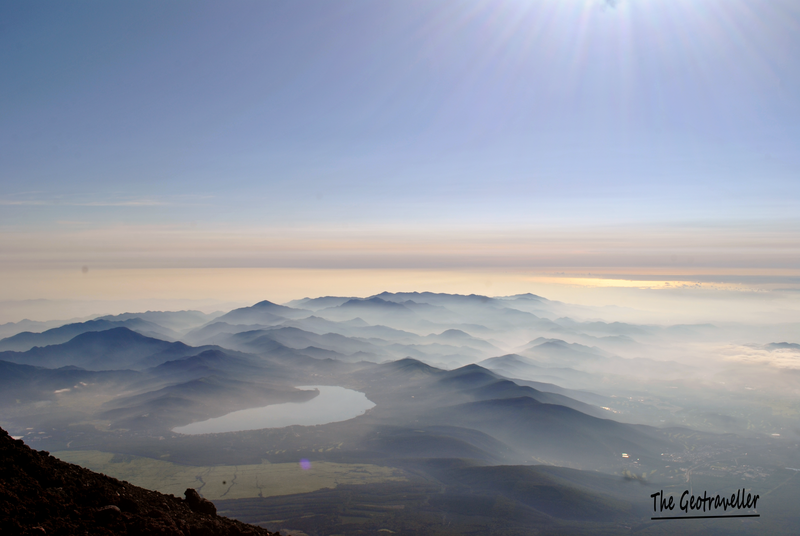 The view became clearer by this time and it was amazing at this height of 2000m++. In my mind, I wondered what the view would be like as we go higher up. 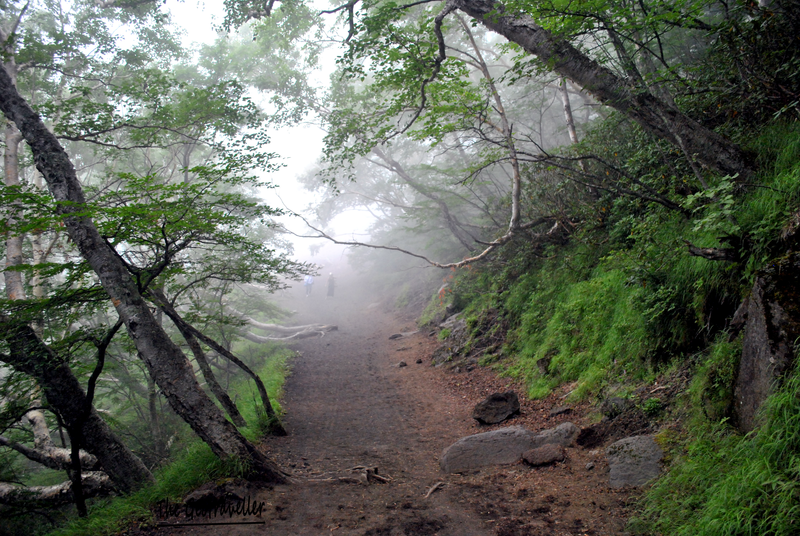 The foggy and calm trail. Serene. 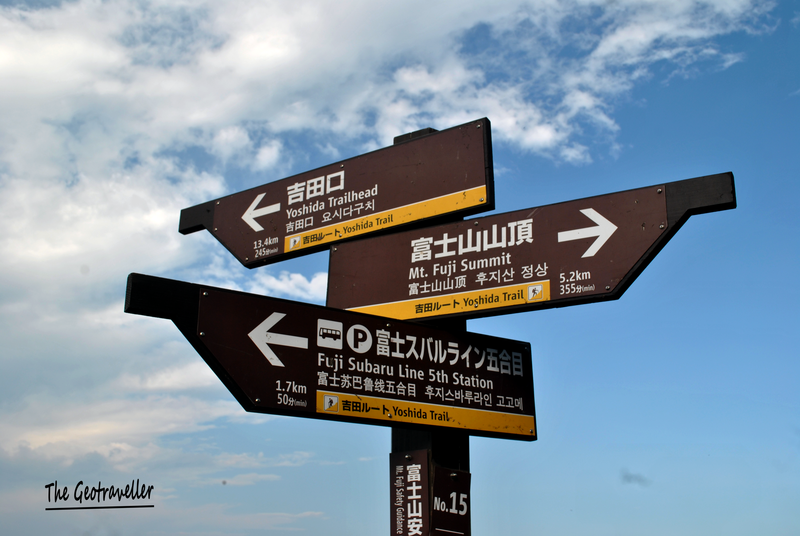 This sign board is situated at the junction of two trails. Make sure you read it carefully. Take the sign post very seriously. They are important. Before I proceed; there are 9 stations in this trail. Each stations, there are few lodges which situated at different levels. You may use the bathroom but you need to put 200 yen in the box. WARNING: Make sure you book the lodge ahead of time. It is possible to just walk in but the cost would be astronomical. The trail was steep all along and also loose. Quite dusty too. 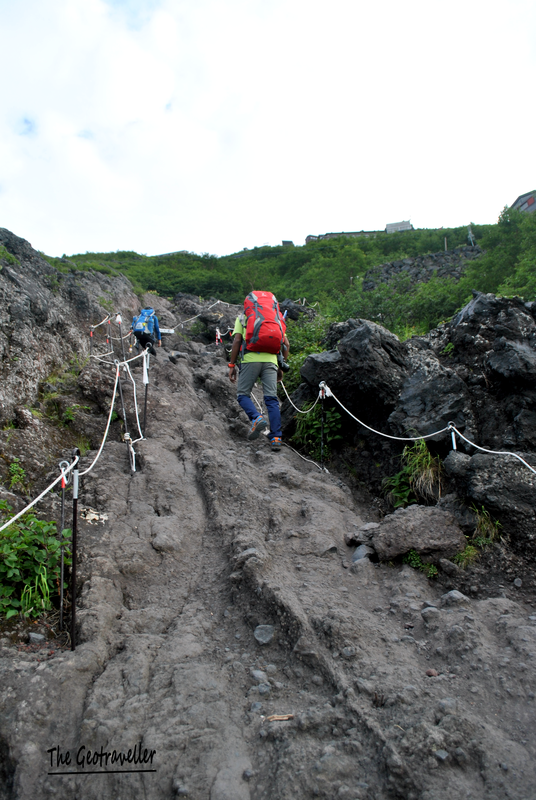 At around 6th station, we began to ascend on rocky surface which has mostly above 45 degree slope. At this point of time, good shoes were definitely needed. Make sure the shoes have good grip. Gloves are recommended because you will have to climb with your hands and hold on the metallic chained rails most of the time. But gloves are quite a hassle for iphone user like me (who likes to take photo for my IG). We should be aware of the surroundings and there are many sign boards to warn us. Hiking poles are highly recommended (which I didn’t have). The constantly steep trail could wear out your knees and ankles. Basically you need to be equipped with complete gears every time you climb a mountain. How the trail looks like. It is quite steep. The locals are very friendly even though they could hardly speak or understand English. Most of the hikers that went alone was older like this guy. I am impressed. Salute. Sunset view. Beautiful and peaceful at the same time. The good thing about starting the climb late afternoon is that, the trail is facing East which will be shadowed by the mountain from the hot scorching summer sun. The disadvantage of hiking at this time, you will be climbing in the dark soon after sunset which could be a safety hazard. That is when head lamp was required. We slowed down the pace and reached 7th station around 8pm. It was already chilly at that time. The sun was completely gone. This was taken at 7th station. Unfortunately, we did not have any lodge booked in advance. Due to some misunderstanding and incident with organizer, we did not have a shelter to keep us warm at night before summit attack. So, we decided to take long rest at each station and climbed slowly. After 7th station, the trail got really steep at about 60 degrees. So we had to be extra careful over where we stepped on. The air got thinner at this level and some of us struggled to catch breath in this low temperature. We were all also tired from the journey from Tokyo which took us almost a day. After this station, it was also windy which made the condition worst. It was very cold and we all started to wonder how are we going to sleep outside for a night. 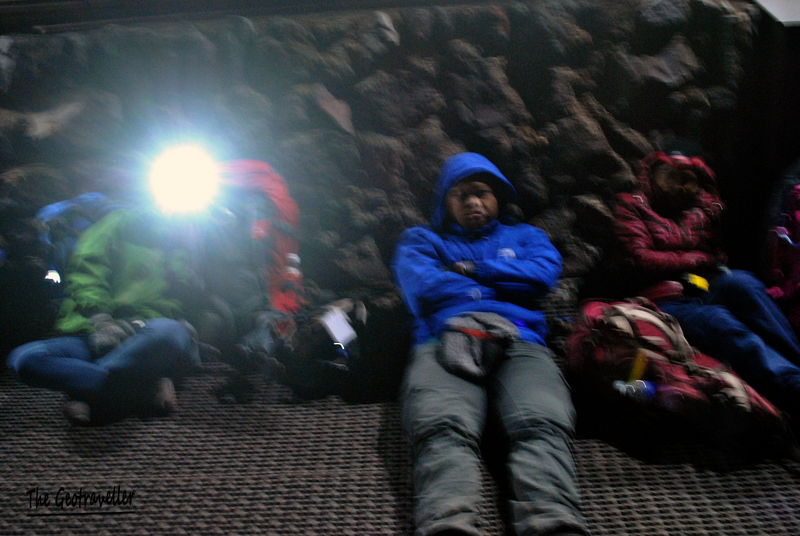 At the 2nd 8th station, we stopped and decided to take a long break before summit attack at 2am. We had our cold dinner in the chilly temperature. It was not pleasant. I did not have sleeping bag but thankfully, I brought extra thick jackets. My bag was heavy because of these jacket but the weight proved to be worth it. However, the jackets were not enough to protect me from the cold. One of the guys provided huge plastic bag that helped to protect me for few hours. How we looked like taking the long rest. It was extremely cold. I did not have sleeping bag. and we were all sleeping outside like this. I was not able to sleep at all but I did manage to rest. So, we continued again at 1am after woken up by noises from other ‘tourists’. I was surprised at how early they were. One of us caught a mild hypothermia and we decided to take another long rest at final 8th station. Red horizon started to appear at 3:30am. 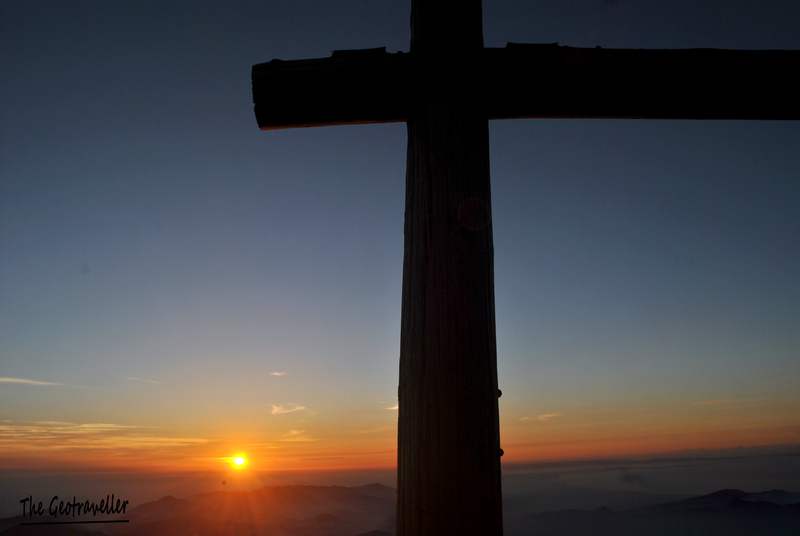 I believed that I could reach summit to catch the full sunrise. So, I decided to leave my team members and hiked up alone. 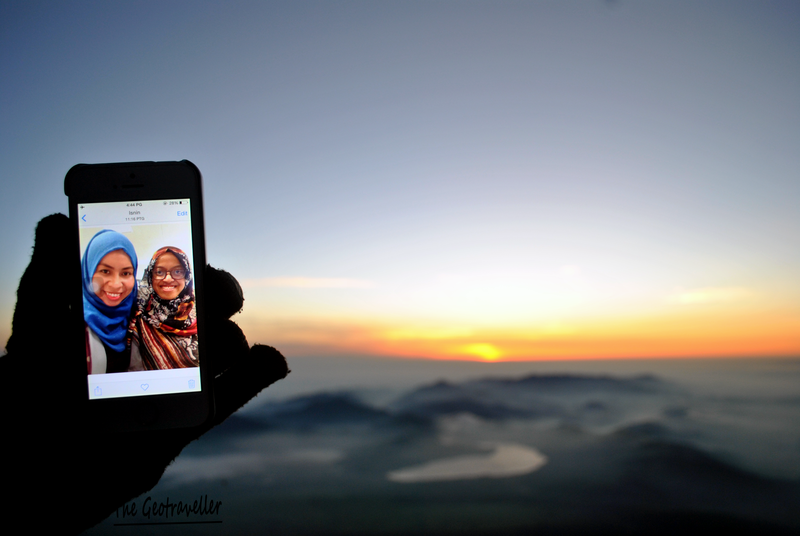 At 4am, I reached summit and managed to catch sunrise near the summit. It was awesome to witness Goraiko “arrival of light”. The view was extremely breath taking. One of the most beautiful sunrise I have ever seen in my life. Both of them did not make it to Fuji. At least they were there digitally. 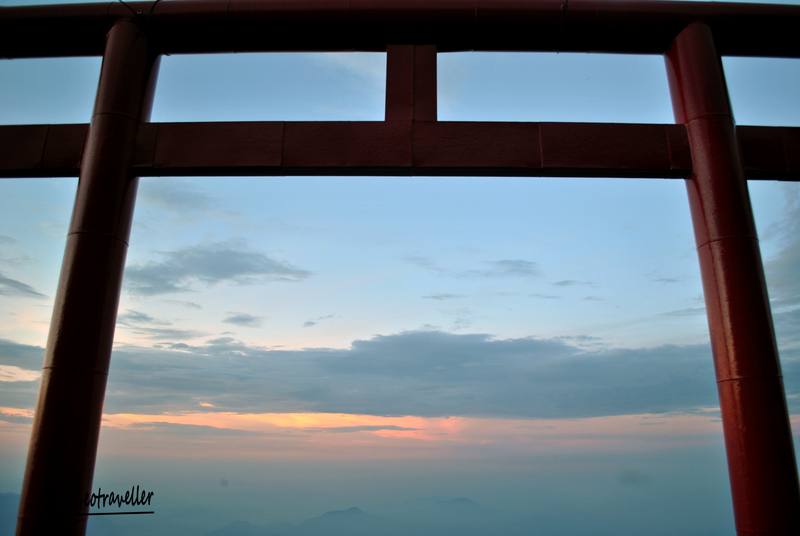 The gate to the Kusushi Shrine at the summit. 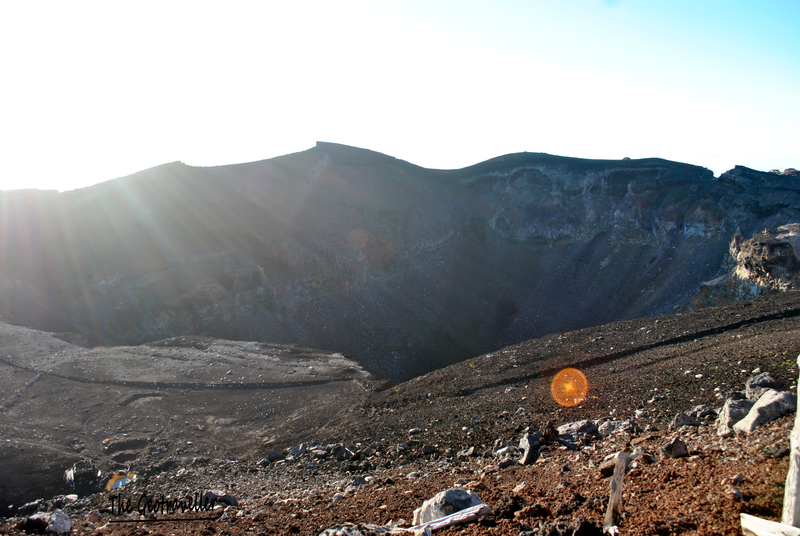 At the summit, I noticed that there was a trail going around the crater. The trail is a loop of probably around 3 to 5km. 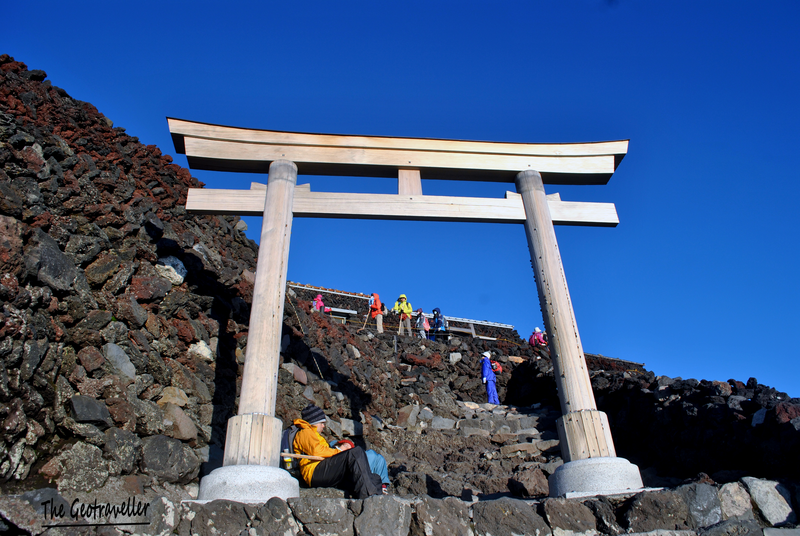 I did not waste time at the shrine and quickly hiked to the opposite side of the summit to see the shadow of Fuji. 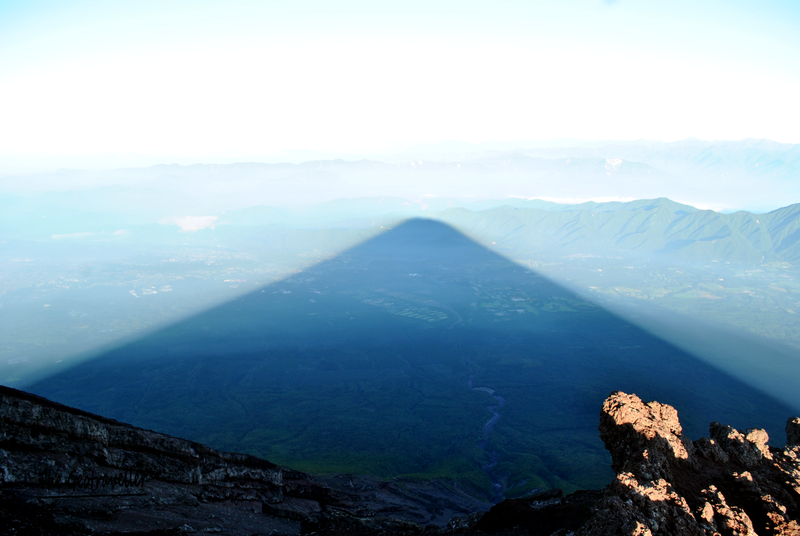 The shadow of Fuji. My target is to take the image of the shadow for each mountain that I conquer. The huge crater. Fuji is potentially an active volcano. 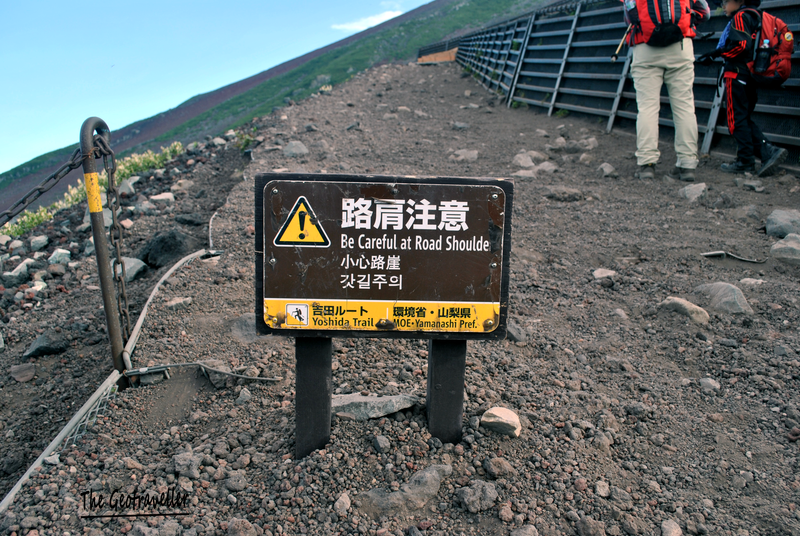 Very steep and loose trail near Mount Fuji Radar System at the highest peak, Ken-Ga-Mine. I continued the hike to the other end of the trail and found a post office. I was so surprised to see a post office at this height. So, I took the opportunity to send few postcards back home to Malaysia. 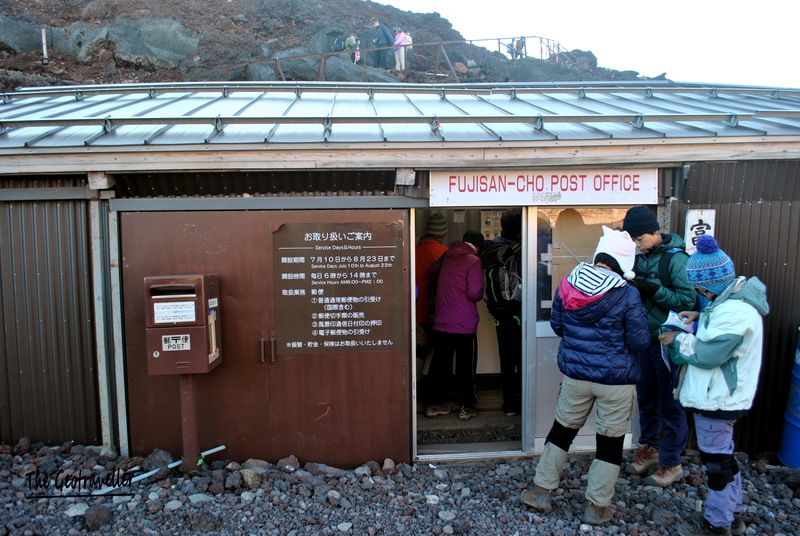 Fujisan Post Office. I did not expect a post office to be located at the summit. I asked the officer at the post office about the right trail to go down. 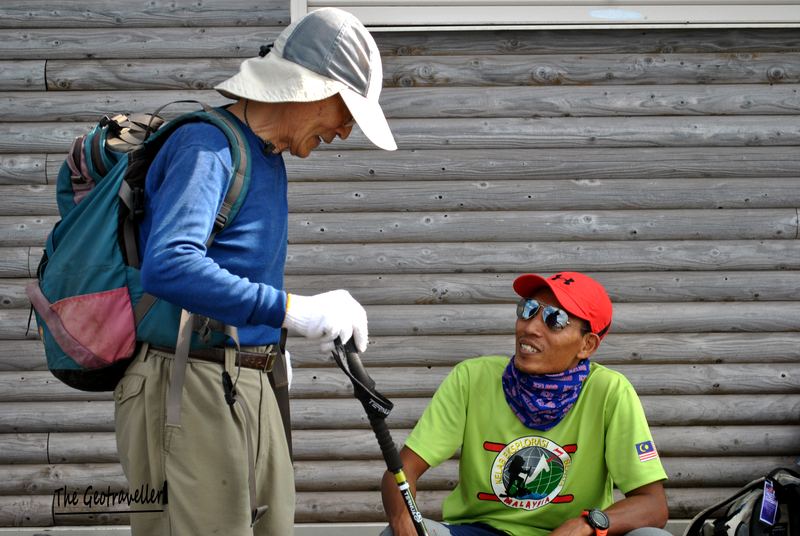 I did not remember exactly the name of the trail so I mentioned to them the 5th station. There was a trail directly going down at the post office (it was Gotemba Trail). I was not sure at that time if it was the correct one. Due to language barrier, I asked them again if the trail was going to the original 5th station by giving them signs that they probably did not understand. They nodded but my intuition said it was not the right one. So, I continued hiking back in the loop trail but stopped halfway when I saw another steep path probably going to another peak. So, I returned to post office and decided to use the trail near post office. It was an agony. My nails were injured from the loose rocks and very steep trail. I forgot to cut my toenails before starting the hike and it had backfired me real bad. I suffered for 4 hours going down. Sometimes, I hiked in barefoot but wearing shoes were better even though I was in tremendous pain. My water had completely finished by the time I reached 6th station. The trail was completely different and from here, I did not see any signs of the original fifth station (the starting point). I knew that I was in the wrong trail but I did not want to climb back up. That would take me another 2 hours. I continued my journey down and bought water (expensive) because I started to become dehydrated. It was so hot and I was so exposed by the sun. If I do not drink any water for another hour, I believe I would die from a heat stroke. I finally reached the 5th station and it was the wrong 5th station. With the help from the police there, I took a taxi back to the original 5th station which was 2 hours away. What an experience. Alone. It was an adventurous journey indeed. I was alone throughout the 4 hours of hiking down. 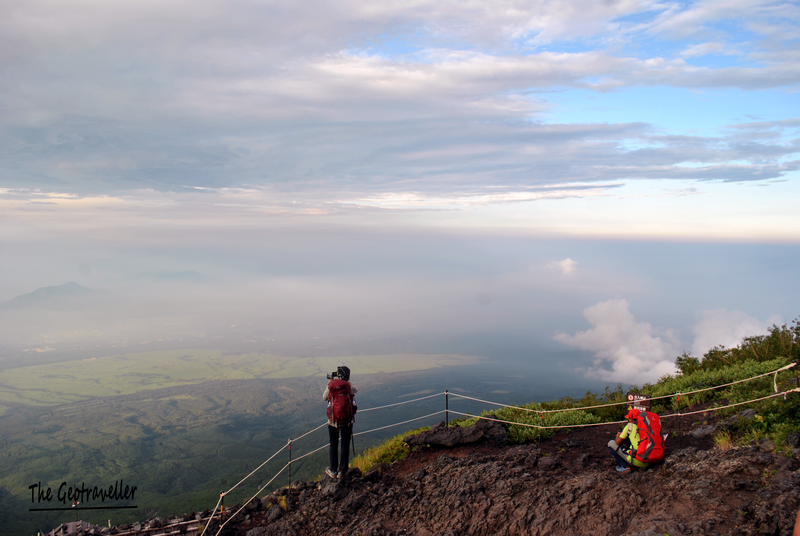 But the good thing was, I managed to see the Fuji shadow and send postcards home from Fuji summit. Even though Fuji was an average hike and not technically challenging, I would not return to this mountain to climb again. I would definitely come again in the winter one day to see the iconic Fuji covered by snow.